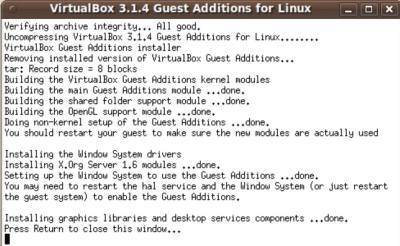 Guest additions in Virtualbox let host Operating System in VirtualBox have improve resolution, and performance. Plus, better mouse capture and uncapture integration. All you do is go to devices on the top of your Virtual Machine Window and pick Install Guest Additions. 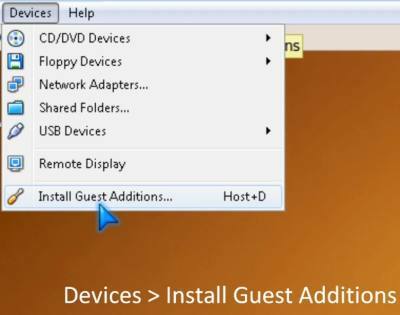 The Guest Additions CD will automatically mount on your desktop in Ubuntu. You need to open the CD and double click on Autorun.sh. A pop-up window will appear with a list of options. Click on the “run in terminal option and type in your administrator password. Wait for terminal to finish installing Guest additions. Lastly, restart Ubuntu, and you will get a pop-up. 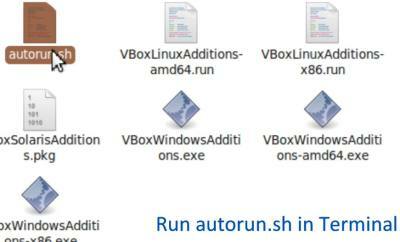 Read it and click OK. You will now notice that you have a bigger display window/screen resolution in Virtualbox.